Well, it has to head south, really. 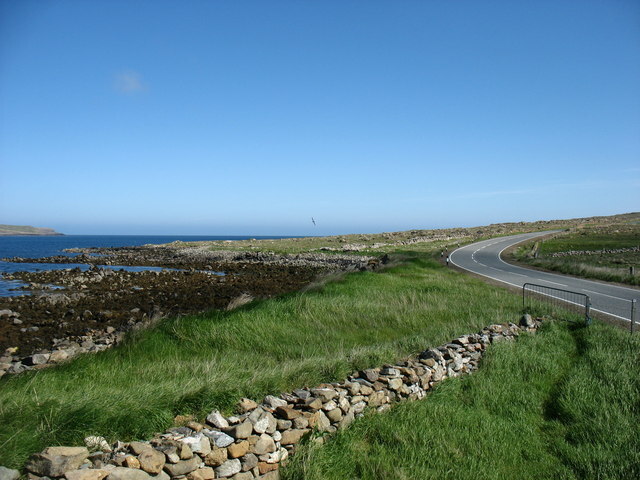 This, Britain's most northerly A road, ends less than 150 metres behind the camera. Harold's Wick Bay is on the left.